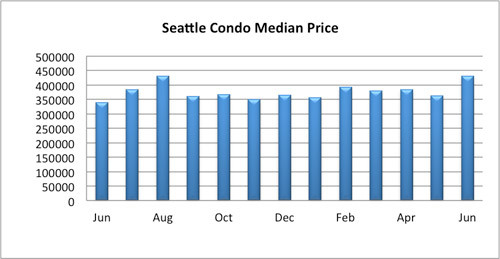 June turned out to be another banner month for Seattle’s condominium market with rising values and closed sales. 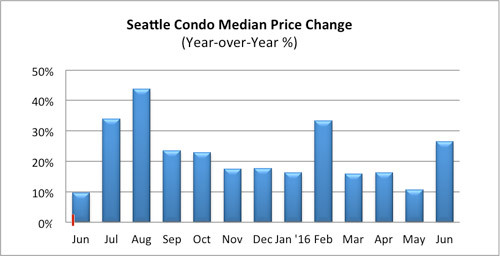 The citywide median Seattle condo sales price matched the all-time record set last August at $430,000, reflecting a year-over-year and one-month increase of 26.5% and 18.4%, respectively. 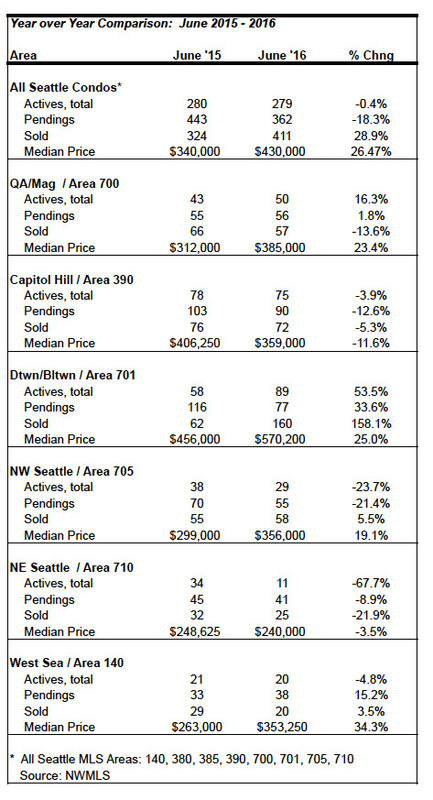 In both cases, Insignia contributed to the rise in the median sales price with its South Tower phase last August and now with its North Tower phase, which began closing last month. 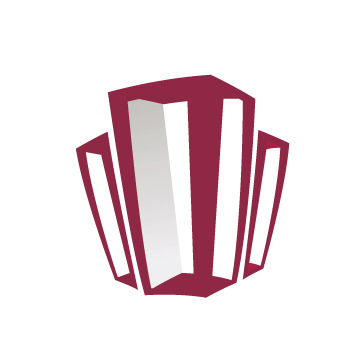 That’s only going to increase further with the remainder of Insignia’s North Tower units and the soon to be completed Luma Condominium, which is expected to start closing next month. 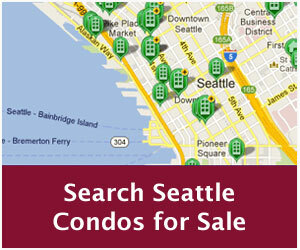 The number of Seattle condos for sale in June remained relatively flat at 279 units. 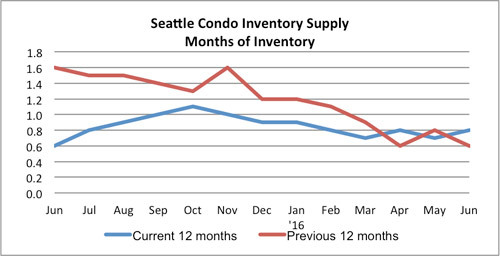 However, with fewer sales in June the inventory supply rate improved slightly to 0.8-months of supply, which is still an extremely tight seller’s market. With the completion of Insignia and Luma, which combined have approximately 870 units, there are only two smaller condo projects on the horizon for 2016 and beyond that are currently under construction — Hendon & Gridiron that have about 150 units between them. Sales velocity slowed in June with 362 pending units (properties under contract), down 5.8% from May and 18.3% from the same period last year. 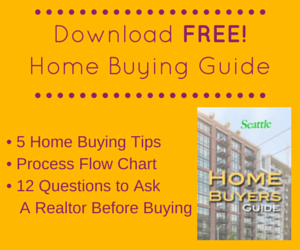 Historically, sales begin to taper off during the Summer months, so this is to be expected. Though, the upcoming completion of Luma should provide a bump in sales activity with a fair number of new, move-in ready units. Currently, Luma is approximately 70% sold. 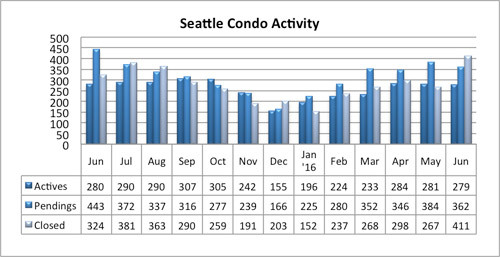 The number of closed Seattle condo sales spiked last month, increasing to record high 411 units with Insignia contributing to 22% of the closings. That’s a 28.9% increase over last June and whopping 53.9% jump over May. 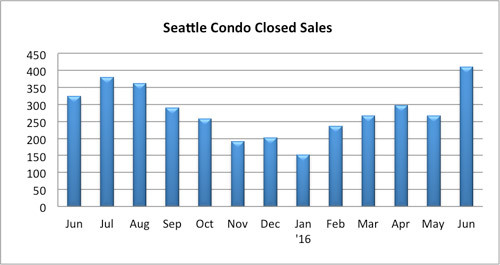 June closings replaced the last record of 406 units back at the height of the bubble and condo boom in May 2007. 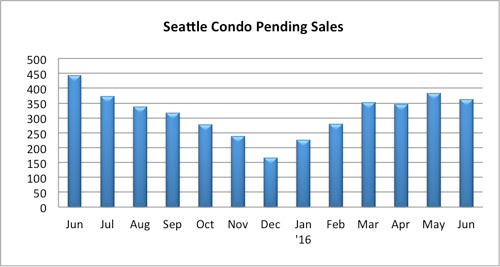 I expect pretty much the same going forward through Summer and Autumn in respects to Seattle condo values and unit sales.